One of the winter foliage Lycoris. 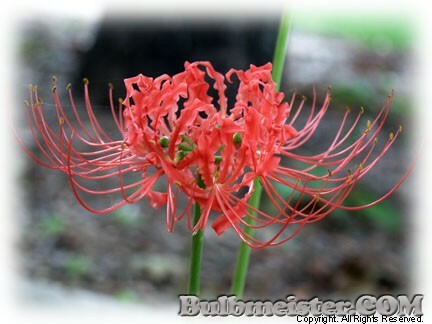 A wonderful surprise of red, frilled flowers borne on 18-24 inch flower stalks in late summer to early autumn. The most well-known and cultivated of the Lycoris species. Ht. 18-24 inches. Hardy in zones 6, 7, 8, 9, 10.